Running is a passion that’s shared by many members of the DriveWorks team. We often hear about people taking part in Park Runs, completing marathons or discussing their personal best times. We even started our own after work running club so the skilled runners could give tips to beginners and help them to improve. 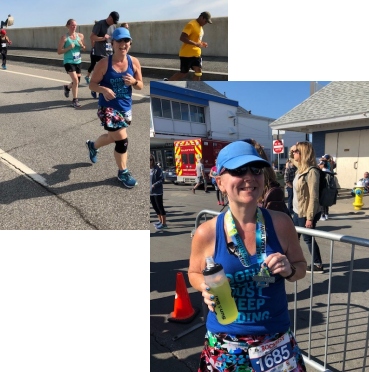 Last weekend, Heather ran the Smutty Rockfest half marathon which was held at Hampton Beach, New Hampshire. “While I have run several races as well as half marathons in my life, this one was a big one for me as it had been 6 years since I’ve run this distance (13.1 miles). Also, I’ve lost just under 100lbs so this was a true test for myself to see what I was able to accomplish. Well – I am thrilled to let you all know that I got a personal best at 2 hours, 18 minutes; that’s a 10:34 min/mile. This beat the other 2-half marathons by at least 30 minutes – you can imagine how exciting this was for me! 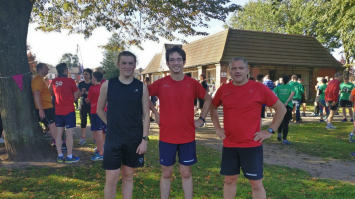 On Saturday 29th September, Glen, Thomas and Joel from the DriveWorks team completed the Warrington Park Run. The Warrington Park Run takes place every Saturday at Victoria Park. It’s a free 5k timed run that welcomes runners of every ability to join in! Park Run events are held all around the UK. If you’d like to get involved, you can sign up at https://www.parkrun.org.uk/.